Xavier’s Reggie Schulte set three Metro football records last season. Metro Sports Report has begun an effort to compile all-time football records for individual game, season and career performances. We eventually intend to come up with definitive listings, but undoubtedly there are some holes at this point in the process. MSR used several resources on this project, including school football programs, school websites, the Iowa High School Athletic Association, and coaches’ information. We do not have records for old Regis and LaSalle, except for ones we gleaned from the IHSAA website. Also, some schools list only all-time leaders, so it’s conceivable a second-best performance could land in our listings. For example, Washington’s Andre Dawson had six straight 200-yard-plus games in 2009. Nevertheless, Schulte’s senior-year performance at Xavier seems one for the ages. He set three all-time Metro records: Touchdown passes in a game (5, tie), touchdown passes in a season (37) and touchdown passes in a career (49). Prairie’s Jarred Edmonds collected a Metro-best 1,267 receiving yards in 2012. And also last year, Prairie’s Mitch Dellamuth set an all-time record with four interceptions in a game, and Xavier’s Ryan Persick kicked an all-time high of 10 field goals last season. The oldest record we could find was fumble recoveries in a game, set in 1972 when Jefferson’s Pat Casey pounced on four. Casey and the Jefferson defense yielded only 36 points on their way to the state championship. The 2007 and ’08 seasons yielded remarkable passing numbers by Washington’s Derek Giesking and Wyatt Suess, and Kennedy’s Guy Martino. Those three players have the top 5 passing yards in a game, topped by Giesking’s 487 in 2007. Suess holds the season and career passing yards records, with Martino right behind in both categories. Schulte and Prairie’s Jace Hanna finished their careers as Nos. 3 and 4, respectively, in career passing yards. 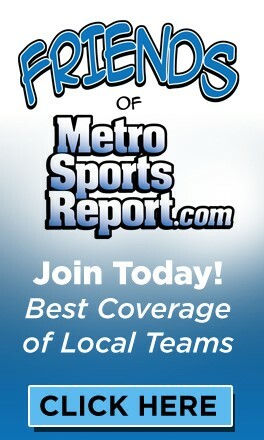 MSR intends to build the records section with all-time best Metro performances in several other sports. To access the lists, click on the Metro News pull down menu and click on the Metro Records section. Football is divided into rushing, passing, receiving, scoring, defense and miscellaneous sections.